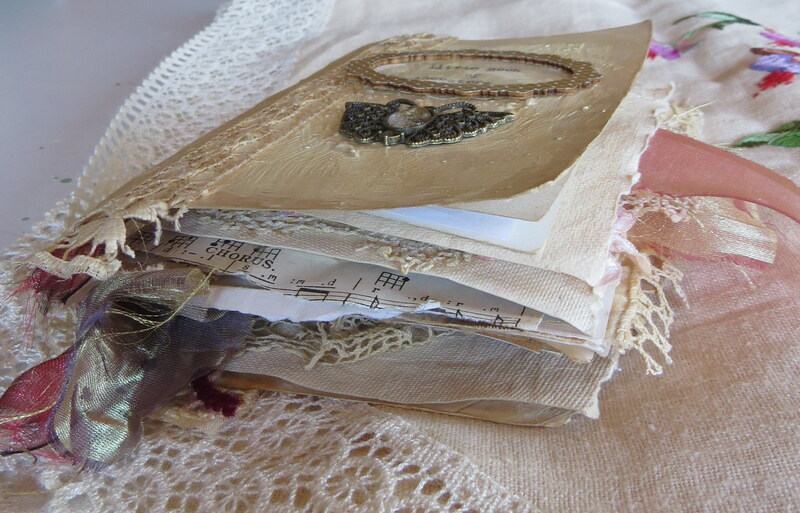 I recently took Laly Mille’s online class, Little Book of Whispers, a beautiful class in which she teaches you how to make a mixed media artist book connecting to the whispers of your soul. 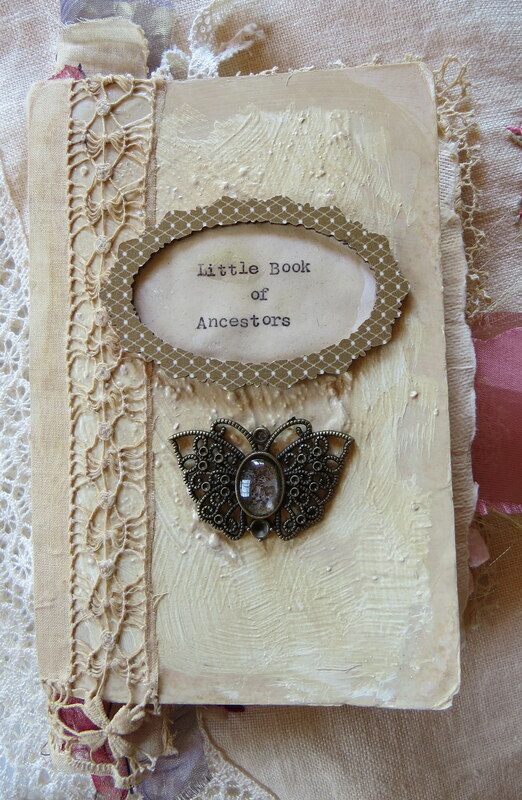 I chose to make my book into a little book of ancestors. 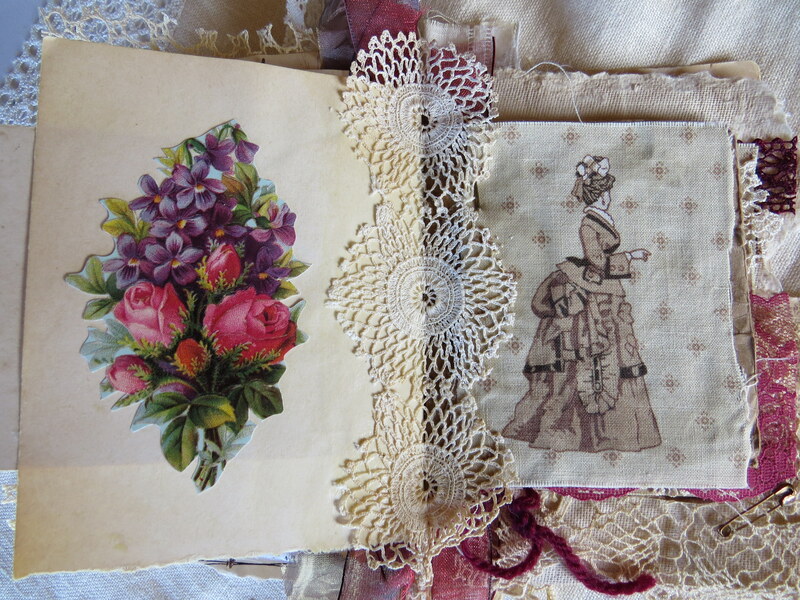 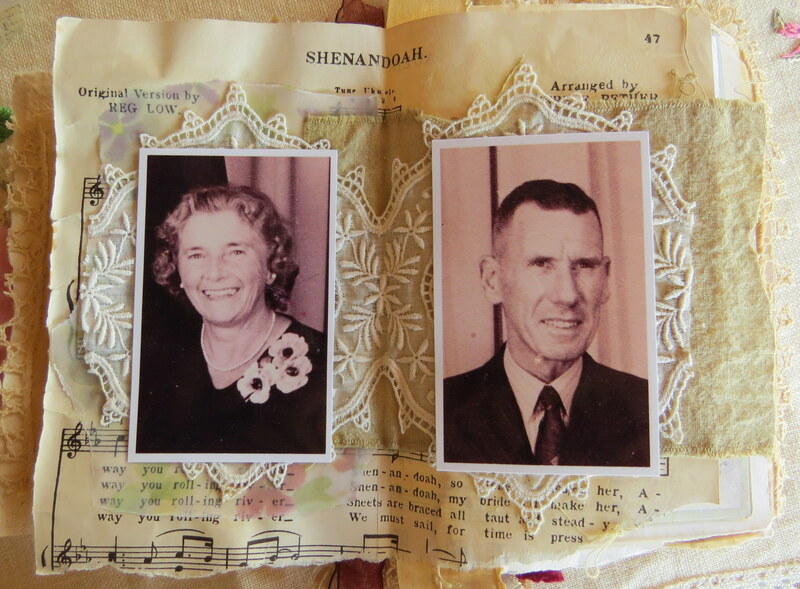 I embellished the pages with scraps of vintage lace and doilies, ribbons, buttons, and sewing ephemera, many of which belonged to my ancestors. 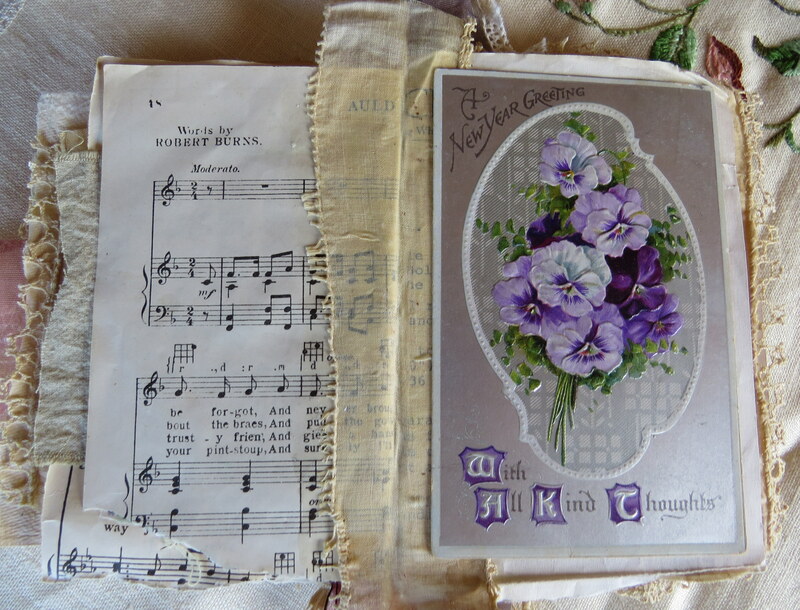 I also used vintage greeting cards from my collection, Victorian decoupage scraps, pressed flowers from my garden, pages from old music books, fabric, and pieces of broken jewellery. 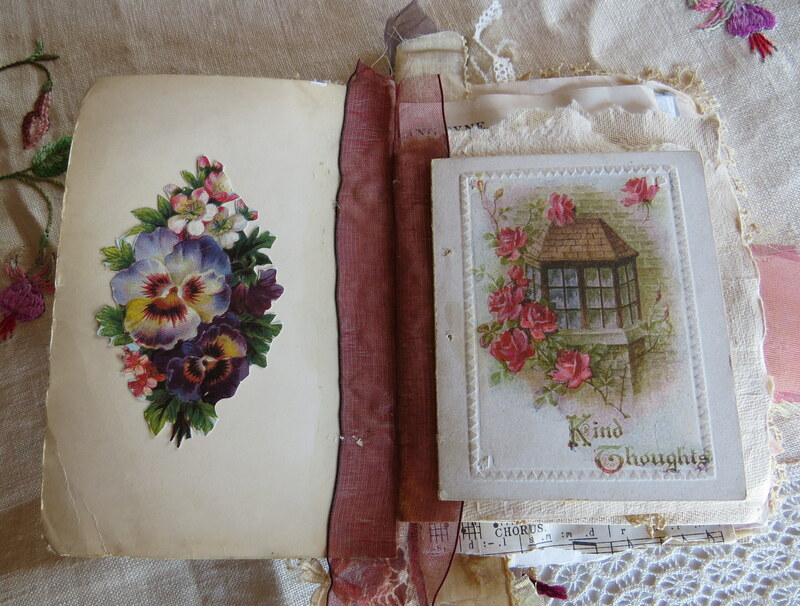 Between the covers of this little book lie the whispers of my ancestors. 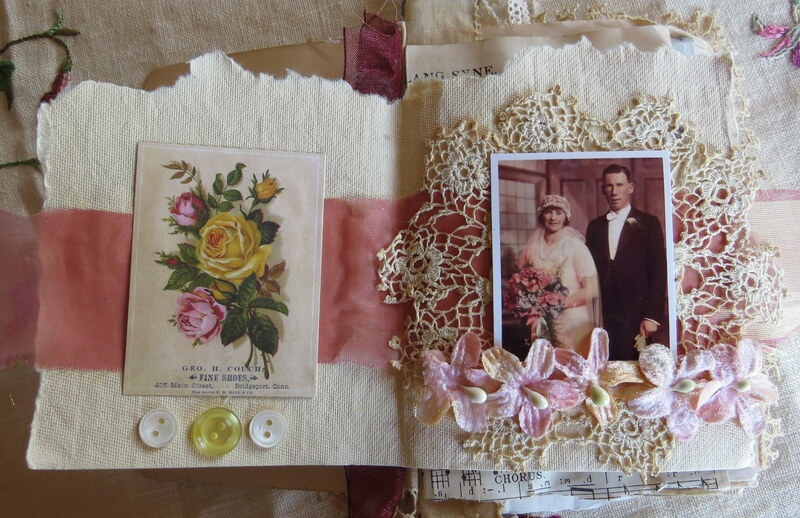 To learn more about Laly Mille’s class, Little Book of Whispers, click here. 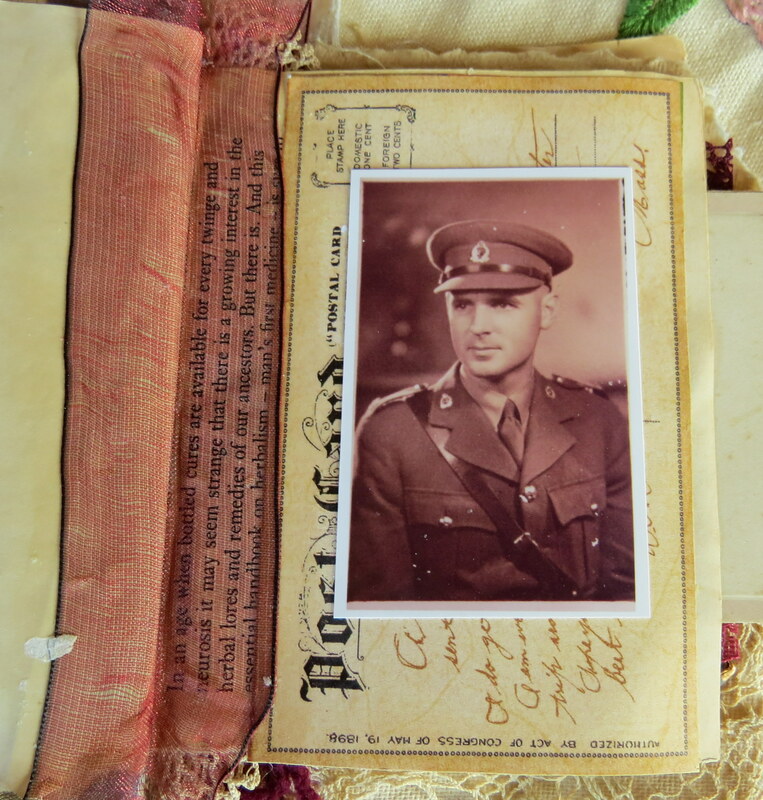 The class is only available to join at certain times of the year, but you can get on the wait list to learn when the next class is open for registration. 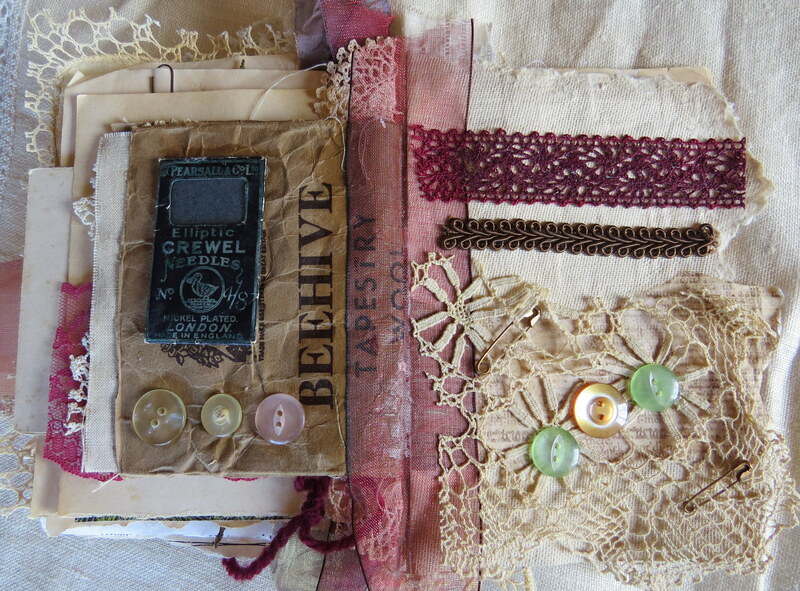 I urge you to take a look at her website www.lalymille.com where you will find lots of beautiful mixed media art and inspiration. 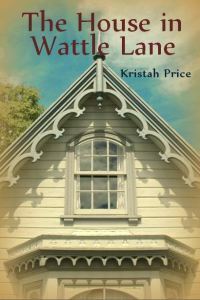 The House in Wattle Lane, the second book in my Wattle Lane series, also delves into ancestry and connecting to whispers of the past. 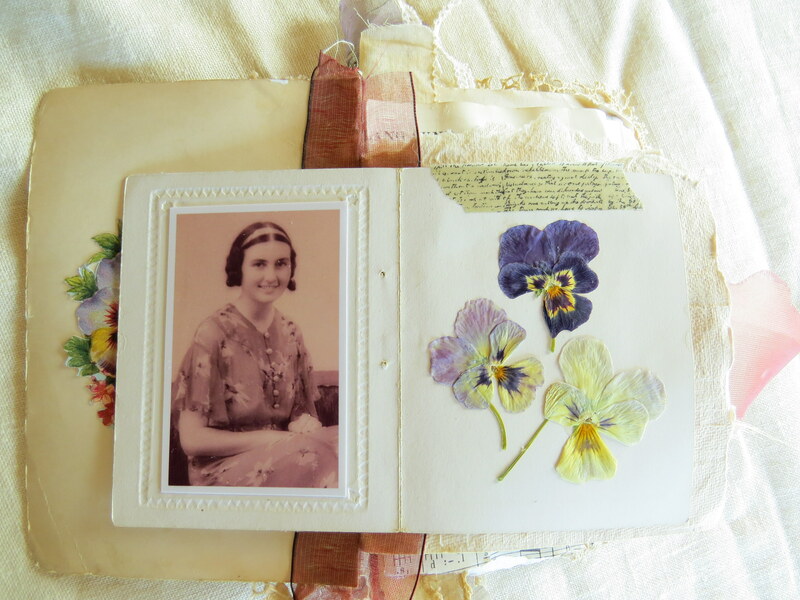 After attending a heritage scrapbooking class, Neave is inspired to learn more about the lives of her ancestors. 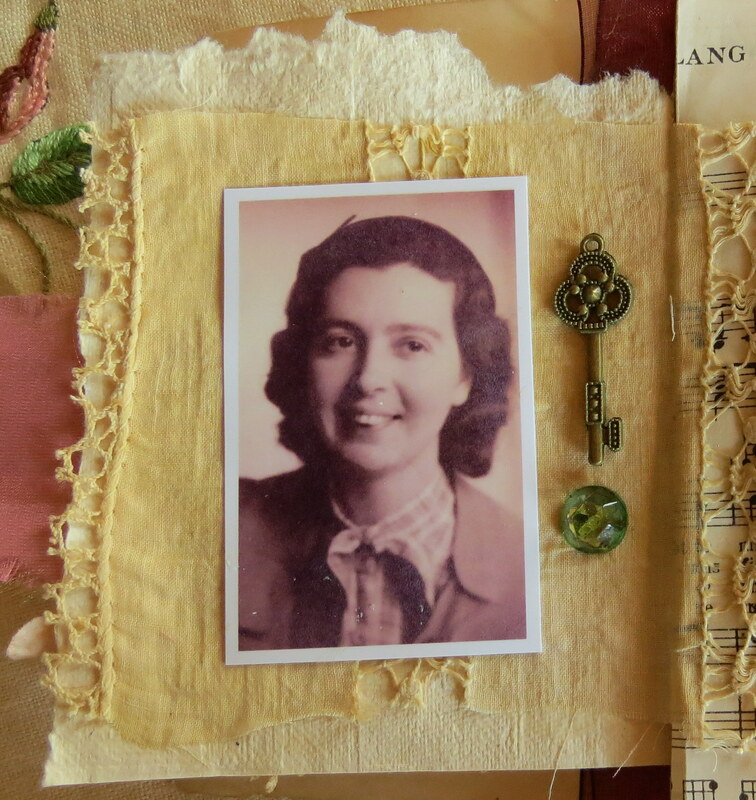 While searching for the truth behind a dark family secret, she discovers that sometimes unearthing the past can shine a light on the future. 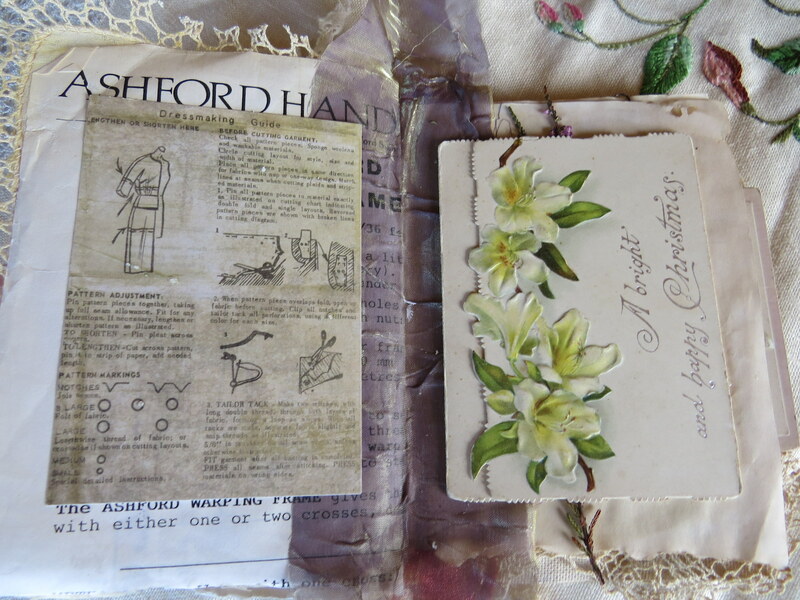 The House in Wattle Lane includes recipes. 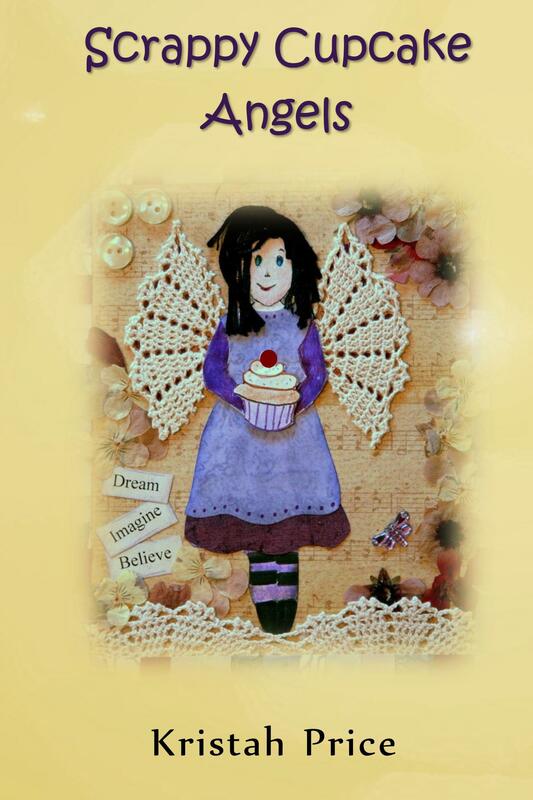 Scrappy Cupcake Angels, book one in the Wattle Lane novels, introduces you to some of the other characters who live in the small New Zealand town of Kerrigan, several of whom also make an appearance in The House in Wattle Lane.